You dream of resin, you dream of flowers and leaves covered in glistening white gold, you dream of unimaginable sticky fingers followed by an oasis of peacefulness and relaxation. Well if it’s up to me you can stop dreaming and start growing – “La Blanca Gold” will give you all of the above and plenty of it. 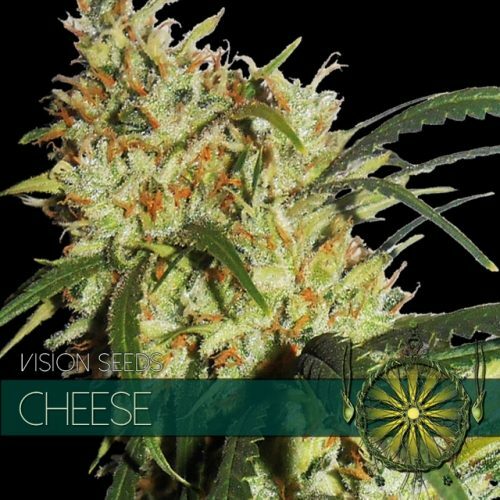 At Vision Seeds HQ we are all about realizing top notch cannabis genetics and “La Blanca Gold” a.k.a. 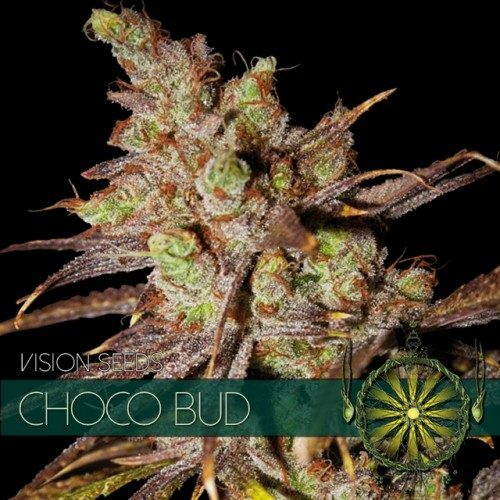 “My Precious” at the Vision Seeds office due to her intoxicating powers is without a doubt a TOP notch cannabis strain. 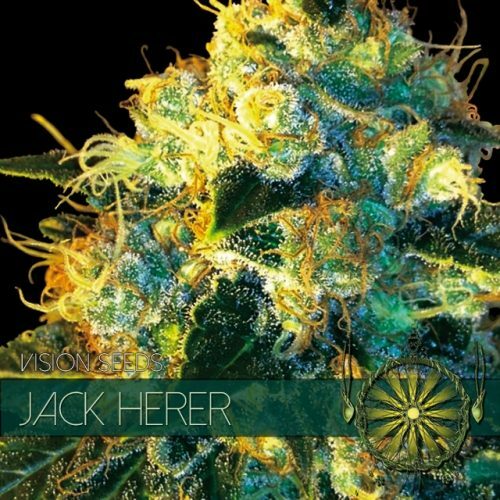 Tall and Branchy our precious “La Blanca Gold” is, with heavy crystal covered buds on each and every branch, very suitable for outdoor growing even under less fortunate conditions because of her amazing mold resistance. Outdoors she can grow as tall as 2.5 to 3 meters. Indoors she will feel right at home as well, Coco, hydroponics or soil, “La Blanca Gold” is very flexible and will do good in all. With a very nice THC to CBD balance “La Blanca Gold” is a very good cannabis strain for medicinal use. “La Blanca Gold” is known to be very effective as a muscle relaxant and provides symptomatic relief of spasticity in MS. She’s extremely effective against anxiety or stress and is often used to help control symptoms of attention deficit hyperactivity disorder (ADHD): hyperactivity, impulsivity and inattention. 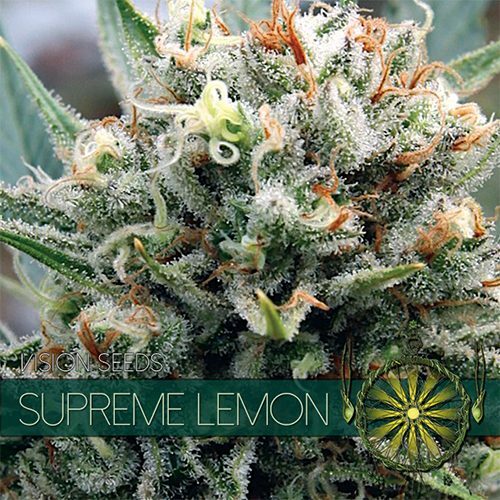 Compared to our other strains “La Blanca Gold” ranks well when it comes to her all round Medicinal value. “La Blanca Gold” is a very aromatic, a very pungent skunk smell right from the start, this would be something to consider when choosing your setup. She has a pleasant smooth smoke with a sugar sweet taste. 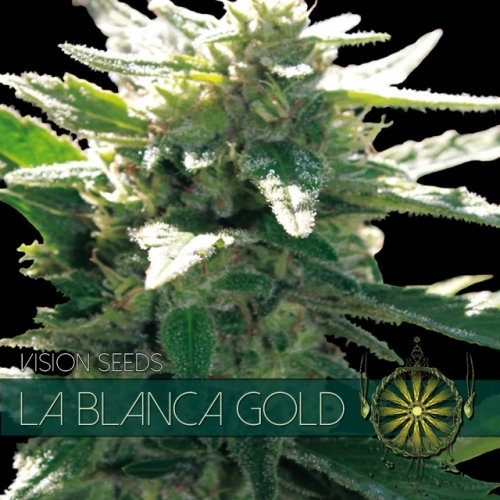 “La Blanca Gold” is a strain every grower should definitely try at some point, I would say sooner rather than later – Vision Seeds wishes you a pleasant grow and smoke and do come back to share your Vision Seeds grow experience with the rest of us!